When it comes to launching a new website, the first thing that comes to your mind is a web hosting service. A web hosting service is the most important aspect of a website. There are different types of web hosting plans that are known to satisfy different web hosting needs. You need to choose a web hosting plan based on your website needs. Out of all the types of web hosting plans, VPS web hosting is gaining a lot of popularity these days. Choosing a managed VPS server with top spec VPS means you can have full control over your web panel. It means that you can manage your entire web data on your own without any problem. In this write-up, we are going to focus on the details of managed VPS web hosting. 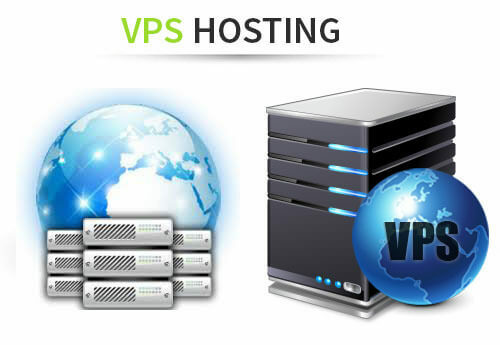 VPS or Virtual Private Systems are basically virtual servers that are designed to operate like dedicated servers. It operates in a shared hosting setting. The main advantage of using managed VPS hosting is affordability. It is any day more affordable than opting for a dedicated server. Also, it is more beneficial than shared hosting in a number of ways. In other words, managed VPS hosting combines the benefits of both dedicated and shared hosting together. This is one of the main reasons why managed VPS hosting has become popular among the website owners. Managed VPS hosting is of two types. One is the fully managed VPS hosting and the other is self-managed VPS hosting. Both types of VPS hosting has its own clear advantages and disadvantages. In order to choose the right VPS hosting plan, you need to first learn the difference between the two. To help you out, we have listed the details of each of the type of VPS hosting in the next section. When you opt for fully managed VPS hosting, you do not have to worry about managing the server. It is managed by your hosting service provider. Therefore, a fully managed VPS hosting plan is ideal for people who have less or no knowledge about technical details. This is one of the main reasons why people and companies opt for a fully managed VPS hosting plan in the first place. In case, you or your team lack the experience or knowledge required to handle a web hosting plan, you should consider opting for a fully managed VPS hosting. This will save you from the trouble of getting involved in the technical know-how. By opting for a fully managed VPS hosting plan you don’t have to worry about managing your server. It will be completely managed and maintained by your service provider. This means you do not have to get involved in the technical details of managing your server. Another big advantage of fully managed VPS hosting is that you don’t have to worry about updating your hardware and software in order to keep your website running. There is also a great amount of security in fully managed VPS hosting. Your service provider is always on the watch to detect any sort of security breach for your website. It is the responsibility of your service provider to keep your website protected from any spyware, malware or suspicious traffic patterns. In this type of VPS hosting it’s you who have to manage the entire server on your own. Your host provider will not interfere in the management of your server. This means you can have full control over your server. It’s up to you what you do and what you don’t do with your server. In this case, you need to have complete knowledge and experience in managing a web server. Your host provider will only provide you with a physical server while all the other task needs to be done by you. There are many users who prefer to choose self-managed VPS hosting because of the high degree of freedom offered. You can have full control over your server and thus, you can do whatever you may please. You can customize any aspect of your server or install any software you want. Anything you do on your server is your choice. The cost of a self-managed VPS hosting server is less than a fully managed VPS server. So if you wish to save money on your VPS hosting plan, you should go for self-managed VPS hosting. With this type of web hosting plan, there is no need for you to rely on anyone. You can make all the necessary changes you want on your own without having to wait for anyone. Now that you know the difference between the two types of managed VPS hosting services, it should be easier for you to decide. However, it is advised for you to go for a fully managed VPS service in case, you are a non-tech person. Still, if you have any query regarding managed VPS hosting then shoot it on the comment section.